Innovia Film’s Research and Development team is bringing new technology to the surface to produce an advanced range of thermal transfer printable label facestock films for Variable Information Printing (VIP). Rayoface VTT61, VTT81 and WTT92, are coated films that easily meet the high demands and requirements of the durable label and VIP markets. Offering exceptional value through the conversion and supply chain, these new films offer a higher yield than their predecessors, whilst maintaining or improving upon the films’ performance. More importantly, in artificial UV exposure tests, the films’ new printable matt top-coat was found to be durable for >75% longer and extensive Thermal Transfer print testing on a range of wax, resin and wax/resin ribbons, found that ANSI Grade A & B barcode verification was achieved over a 10°C wider print head temperature range. The new films are ideal for producing labels across a broad spectrum of markets such as Industrial Chemicals, Logistics and Transport, Consumer White Goods, Automotive parts, Electronic Components and Tyres. Rayoface VTT (high yield, cavitated white) is available in thicknesses of 66 and 81µm (260 and 320 gauge) and Rayoface WTT (solid pigmented white) is available in a thickness of 92µm (360 gauge), for prime, durable label pressure sensitive applications requiring thermal transfer printing. From 10 -12 March 2015, the international converting community will gather in Munich, at ICE Europe 2015, to explore the latest manufacturing solutions and discuss prevailing industry trends. More than 400 exhibitors from 21 countries will present a comprehensive range of machines, materials, accessories and services at the 9th International Exhibition for the Conversion of Paper, Film, Foil and Nonwovens. „Key topics at ICE Europe 2015 are environmentally-friendly converting processes, utilisation of new applications and energy efficient production. General trends such as automation and digitalisation do also have an increasing impact on the converting industry. Visitors to ICE Europe 2015 will be able to discover all these future converting trends at the show,” says Nicola Hamann, Managing Director of Mack Brooks Exhibitions, the organisers of the show. With a net exhibition space of more than 10,000 m2 and more than 400 exhibiting companies, ICE Europe is the world’s biggest trade fair for the converting industry. A total of 6,600 visitors from 64 countries attended the previous record event. “The upcoming ICE Europe is, once again, set to be a highly international event, with 40% of the exhibitors coming from outside Germany. Great Britain, Italy, Switzerland and the USA are major exhibitor countries next to Germany,” says Nicola Hamann. ICE Europe is renowned for the large number of live demonstration of machinery at the exhibition stands. Whether biodegradable materials, flexible conversion processes, new printing solutions or high-precision measuring systems; at ICE Europe many novelties will be presented to a wider audience for the very first time. The exhibition profile of ICE Europe exclusively focuses on converting of web-based materials and includes the following categories: materials, coating and laminating, drying/curing, treatment, flexographic and rotogravure printing, control and measurement, accessories, slitting and rewinding, finishing, factory equipment, retrofits, toll coating, converting and slitting as well as specialist software. Trade visitors at ICE Europe are industry professionals such as plant managers, design and production engineers, technical managers, purchasers, sales and marketing specialists as well as packaging designers from a wide range of industry sectors including packaging, food, pharma, furniture, electronics, package printing, wipes, textiles and nonwovens, automotive, paper and chemicals. A specialised conference rounds off the exhibition programme at ICE Europe 2015. The three- day conference is organised by AIMCAL (Association of International Metallizers, Coaters and Laminators) in cooperation with Fraunhofer Institut IVV. Main topics of the conference are web processing, web coating/drying, and web coating – metrology and inspection. The conference is held in English. Detailed information about the conference programme are available on the exhibition website www.ice-x.com. A visitor brochure and a comprehensive Show Preview can now be ordered via the exhibition website. The visitor brochure contains key details about the show and useful information about travel and accommodation. The brochure is available in five languages. 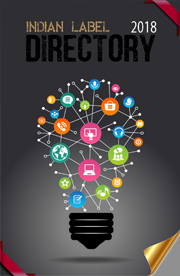 The Show Preview features detailed descriptions about hundreds of exhibiting companies and their products as well as special feature articles, the complete exhibitor list, the conference programme and key information about the exhibition. ICE Europe 2015 will be held in halls A5 and A6 at the Munich Trade Fair Centre in Munich, Germany. The show can be accessed via the East entrance. ICE Europe 2015 is open on Tuesday, 10 March 2015, and Wednesday, 11 March 2015, from 9am – 5pm and on Thursday, 12 March 2015, from 9am – 4pm. 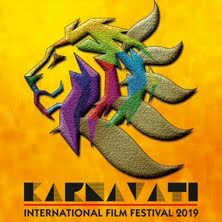 Entry tickets are available at a discounted price via the online ticket shop. A day ticket costs €20, a 3-day-ticket €30. On-site, tickets cost €32 (day ticket) or €47 (3-day-ticket). Entry tickets for ICE Europe 2015 are also valid for CCE International 2015. 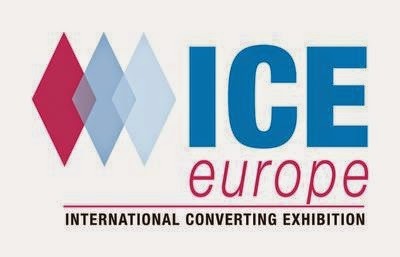 The 2nd International Exhibition for the Corrugated and Folding Carton Industry will, once again, be co-located to ICE Europe, in hall B6, directly opposite the ICE Europe halls. More than 150 exhibitors from 18 countries will present raw materials, machines, accessories and systems for the production and conversion of corrugated and cartonboard. CCE International attracts production specialists and packaging designers from a large variety of industry sectors and thus offers added value for many visitors to ICE Europe 2015. Dalim Software announces the launch of ES 4.5, a significant update of its popular and long-standing production automation software. The new features in ES extend the software's reach beyond its traditional print production and image workflows to support photo studios, retailers, brand owners and their respective media service providers-in short, anyone whose marketing communication efforts or packaging production starts with a single asset. In doing so, production automation is expanded from business process management to final file processing-from preproduction to image handling to video. Ranging from the traditional file types used in office documents, video, sound, and print production, to RAW images uploaded right from the location of the photo shoot, and even 3D Collada files, ES 4.5 takes care of storing, revision management, cataloging, transforming and sharing. All that, combined with the sophisticated business processes for approval workflows, provides a complete content lifecycle in the cross-media production workflow. ES 4.5: New features extend ES internal media production platform into a media asset management system, making job production and review of files even easier and faster. ES (Enterprise Solution) is an integrated media production platform-a media asset management (MAM) platform and a web collaborative platform offering a complete solution for the management and production of the many aspects of media services, regardless of final output. This includes brand owners and retailers who need efficient communication throughout the media production supply chain (who consist of marketing services, designers and production services), who can save time by conducting advanced searches through the ES integrated MAM. The ERP and storage-friendly combination of technical workflow production along with business process management results in a highly flexible centralized platform for all participants in the media production lifecycle. ES 4.5 can work with referenced content including revisions on a local or remote file system-particularly helpful for those who need to produce very large video files or work with external storage devices. The ES MAM features can automatically catalog, enrich and share images and other assets, such as video or e-pubs, or can be included in 3D augmented reality models. ES 4.5 can also be used as an online photo portal, with easy tools to edit and manage thousands of images and hours of video. While originally just a customer-facing web based production management solution, ES has evolved to allow users to centralize all their assets and data in a database-or in the cloud. To support this, ES always has effectively handled and managed standard metadata formats. In ES 4.5, extended enterprise asset management capabilities include the ability to support custom metadata to improve production processes. With ES 4.5, it is also possible to build a collection of assets, along with sets of private collections. The full feature set offers comprehensive basket order management for content distribution, reformatting and the creation of contact sheets. ES can convert a selected group of image files, either for download, or as a new private asset collection for use on the Web, mobile applications or print. The Clipboard can collect files from several projects and file systems to move to other collections, or for display to review in Dialogue Engine (for example, to compare different jobs). With ES, a user can either add a new file from a production workflow or select a user action to select and place images into a collection that can be used, shared via email or download link, or posted on social media. Users can conduct an advanced search, using tags or a rating system to filter any kind of asset in the database. This is extremely helpful when a photo studio, for example, can filter preferred images from tens of thousands of photos for a customer's electronic 'catalog' in a web store or print. These can be linked to social media (shared on Facebook, Twitter, LinkedIn and Google+, for example). ES 4.5 includes an easy to connect API, so that supporting solutions such as Wordpress or Drupal can be easily integrated. The same API makes it easy for companies to brand their own portals, offering a standard way to communicate with asset management. With the help of customer feedback, Dalim Software built ES 4.5 with extended features and a new interface with a simple and user-friendly way to access files for review and approval. A dynamic approval cycle allows just about any user easy access to a file within the system. ES 4.5 provides a simple way to let the complete supply chain interact with projects. 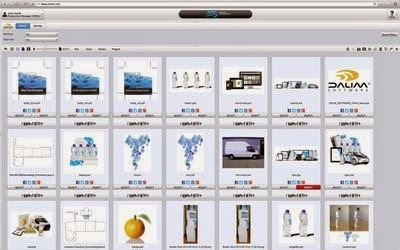 With new, easy to configure SmartView items known as 'Components', ES provides a complete view of all projects for packaging, image workflows, video, print-whatever is being created. Meanwhile, the customizable dashboard-part of ES SmartViews-controls all aspects of projects and reports, ranging from approving or confirming production steps to uploading new data into that particular project. A Milestone Progress 'Component' offers more intuitive project tracking and interaction-the perfect way to monitor project progress and approval status-all within the dashboard view. These flexible components can significantly simplify content views for specific users, whether photographers, production departments or content originators. Depending on the role, the ES Smartview will display only the features and functionality that the user needs. Dialogue Engine is an excellent closed-loop soft proofing application available for stand-alone integration or within ES. Dalim Software continues to improve its performance and capabilities with super-fast HTML5 access-which no longer requires the need for Java- leading to simpler support and operation for end users. This allows companies to view-and comment-on materials for approval directly from a web page. People away from the office can review materials on smartphones and tablets. New HTML5 tools in Dialogue Engine 5 include annotation, color management, and document metadata. The user will benefit from an extended list of supported file formats, ranging from RAW images to retouched native Photoshop files, including their layers, just to name a few. Text annotations now also come with 'track changes', allowing users to easily see what has been added or removed in a document. Dialogue Engine also allows users to see trim, bleed and art boxes. And to assure color is viewed accurately, the preferences menu offers a drag and drop list of monitor profiles. "In the past few years we have been building automated production solutions to extend Dalim Software's involvement into video, web-based and mobile content, well beyond print-centric production," explains Carol Werlé, CEO, Dalim Software. "To support all of these requirements within one system for the enterprise, we have made a conscious decision to implement a functional form of asset management to help manage production, workflow and the business process. This has helped to make ES and TWIST even faster, and has provided more features between all the applications." ES 4.5 and Dialogue Engine 5 are available to customers immediately. For more information, please visit http://www.dalim.com. 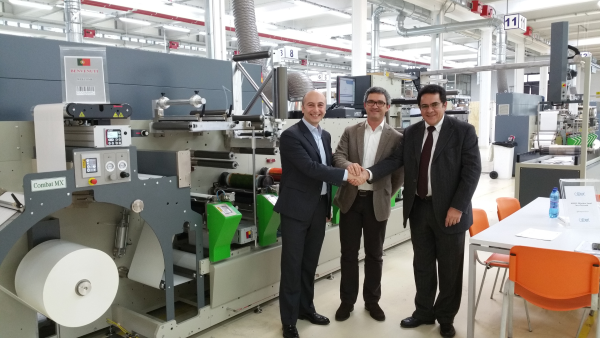 With plans to increase efficiency and customer satisfaction, Italian packaging prepress company Tadam has chosen to invest in a Kodak Flexcel NX Wide System and Kodak Flexcel NXC Plates to meet the demands of its broad customer base, including producers of high-end corrugated cartons. Designed to increase the visual appearance of corrugated flexo post-printing while opening the door for cost-saving opportunities such as the use of lower grade liners, the new additions to its pre-press product offerings will help Tadam, a long-time user of Kodak technology, achieve its strategic goals of expanding its business with existing customers and attracting new printers. The Flexcel NX Wide System at Tadam includes the latest Flexcel NX Wide-C Imager, the first to be installed in Italy, and leverages Kodak Squarespot Imaging Technology at an optical resolution of 10,000dpi to produce digital flexo plates that enable a broader tonal range, use of higher line screens, more efficient ink transfer and a higher level of quality. The newly introduced Flexcel NXC Plates have been developed specifically for the needs of the corrugated post-print market. Through the use of a unique printing dot profile and Kodak Digicap NX Patterning technology that creates a micro texturized plate surface to transfer ink more efficiently to the substrate, the plates enable significant improvements in highlight reproduction, printed densities and washboarding without the need to use increased ink volumes. Tadam was founded in 1994 as a photolithography company, when its current director, Bruno Amadio, started learning everything about colour management and prepress with the help of colour specialists and experts. In the early days, the firm prepared extracts for medical books in Germany and art catalogues. 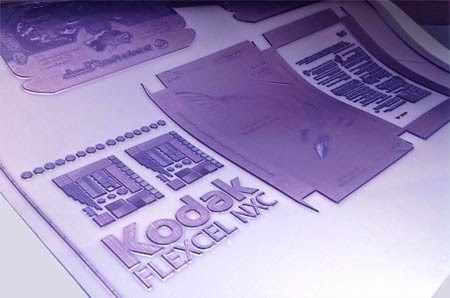 As the technology evolved, photolithography became a prepress service and today the company’s overriding aim is quality, to offer printers plates that meet the highest standards. Innovia Films has launched its first BOPP film that has been officially proven to provide up to 1.5 years protection from mineral oil migration - PropafilmT RCU. Its development has been the result of proactive investigation into the mineral oil hydrocarbon (MOH) and mineral oil aromatic hydrocarbon (MOAH) barrier protection of their films. 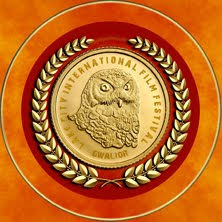 It included the evaluation of films with multiple laydowns, increased coat weights and one side/two side variations. This work commenced after earlier studies(1) by Dr Koni Grob, from the official Food Control Authority of the Canton of Zurich, Switzerland identified that foods were being contaminated by migration of mineral oil from paper-board packaging. Further studies by the UK Food Standards Agency(2) highlighted that safe levels were frequently exceeded in food packaging samples that were tested. Traces of mineral oil residues in food are thought to arise due to their migration from the printing inks present both on the packaging surface and in recycled newspapers, used in the production of cardboard packaging. 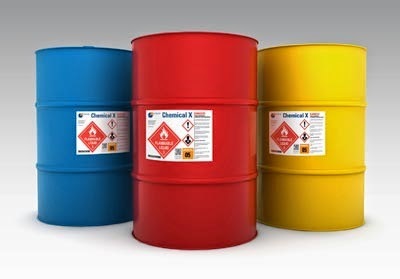 Most commonly used newspaper inks contain mineral oils. These cannot be removed sufficiently during the recycling process and are thus able to enter cardboard food packaging. Even at room temperature these residues can migrate and be deposited on dried foods packaged in the box, such as pasta, rice, breakfast cereals and biscuits. MOAH are suspected of being carcinogens, according to the World Health Organization's Joint Expert Committee on Food Additives (JECFA), and the UN's Food and Agriculture Organization (FAO). Innovia Films research results were published in a peer reviewed white paper : 'Mineral Oil Barrier Testing of Cellulose-based and Polypropylene-based films', G. O'Connor, N. Hudson and S. Buckley, Packaging Technology & Science, DOI: 10.1002 /pts. 2082, Copyright (2014), John Wiley & Sons Ltd. Published online in Wiley Online Library. The findings proved that their proprietary acrylic coated film provides an effective barrier to mineral oil migration. Further analysis identified the optimum coat weight of acrylic required to maximise the barrier protection. This has meant that the development of PropafilmT RCU has been fairly rapid. The film, besides offering excellent barrier, has superior optical properties, a low sealing threshold and a broader sealing range which makes it ideal for use in a variety of markets (biscuits, bakery, confectionery, dried foods, tea and cereals). 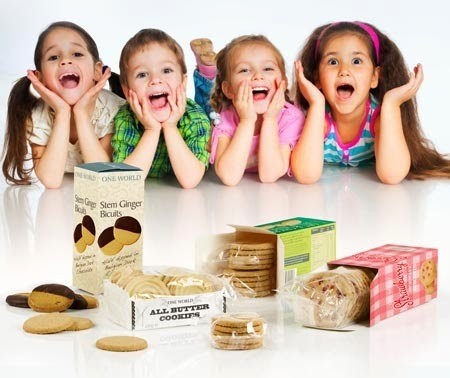 Andy Sweetman, Marketing Manager Packaging & Sustainability for Innovia Films enthused, "It is exciting to be able to offer the market a cost effective versatile film that ensures proven protection for dried foods. It is printable and can be used on a range of machines, including vertical and horizontal form-fill-seal (VFFS/HFFS). PropafilmT RCU is ideal for pre-made bags and lamination to other films. This BOPP film offers the market a complimentary alternative to our NatureFlexT film that provides up to five years protection. 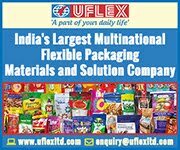 It means we have a product to meet a wide range of shelf life requirements." Limpet Labels UK, a specialist in the production of self adhesive labels, has worked with Dantex to add a Screen Truepress L350UV Inkjet Label Press to their portfolio. Limpet believes that having a range of printing technologies is the key to offering customers the best possible quality and service for their requirements. Limpet were already running a Xeikon 3000 digital press along side their Flexographic machines and now thanks to the Truepress are able to offer high speed UV inkjet. With ultra high speed UV inkjet there is no compromise on quality, the printed results are exceptional. This has the biggest advantage for customers who need shorter production runs more frequently. It is not only its speed, flexibility, and shorter-run capability that gives it the edge on flexo but versioning too. Truepress Jet L350UV delivers exceptional quality and fast, stable output. Job setup and maintenance require minimal time, giving ultra-fast turnaround and minimal downtime. Truepress is able to achieve a printing speed of 50 metres per minute and widths up to 322mm, at up to 16.1sq.m per minute and produces photo-realistic images with simple maintenance. Screen Truepress Jet L350UV digital label press was voted ‘Best Label Printing Solution’ in the 2014 EDP Awards. Jon Dudley, Limpet Labels, Sales Director, “We are one of the very few label printing companiesthat produces both Digital and Flexo labels in house”. Of course, customers demand the highest quality and want high-end designs to present their products to full effect, but they also require variable information, sequential numbering, barcodes and other security features to which digital is also highly suited. Jon Dudley, Continues, “Limpet has met the demand for speed and quality with the Truepress. Inmostcases digital produces a cleaner image than its 'traditionally' printed equivalent and some customers are willing to pay a little more for it on longer run jobs”. The best-fit technology for any given print job depends on price, job type and run length as well as customer expectations. The point at which digital jobs cost less per copy depends on the type of job and set-up costs, but up to this ‘breakeven’ point digital printing costs far less for short runs. The higher the breakeven point, the more reason to print digital. Limpet know that most customers are not necessarily going to go with ‘just flexo’ or just digital’, but they are able to advise on the best way to achieve the labels they want. Limpet pride themselves on being able to produce 100 to a 100 million labels, they can do digital, high speed digital, flexo, long run, short run, with very high quality standards across all press types. Lee Goode, Limpet Labels MD, continues, “Digital plays its part within a company already usingflexo technology, label printing is a jigsaw puzzle and you need all the pieces; digital is anintegral part of that. Incorporating the Truepress was quite easy for us, our press operators havea great deal of experience and have the transferable skills to adapt quickly and successfully. Infact, one of our Press Operators, Kevin Jones, says the Truepress is ‘A printer’s dream!’ We hada great deal of support and training from Dantex from the start and throughout the installationperiod. Since investing in the new system we are very pleased with its high quality printedresults, as too are our customers”. Gidue is proud to announce that, thanks to the cooperation of its certified distributor JF ALVES, the first Gidue Combat MX2 has been sold to the Portuguese converter Codimarc. Founded in 1997 in Oliveira S. Mateus, Codimarc represents one of the biggest converters in the Portuguese overview. Lead by José Sampaio, Codimarc is specialized in the production of labels, coding and labeling for several referent markets : Logistic and Transport, Agro-food Industry, Pharmaceutical & Chemical Industry. Company’s mission is all along focused on the supply of integrated solutions that combine the most advanced hardware, software and services that involve any type of coding and labeling solutions. “In Codimarc we work and invest a lot to give to the growing market demand the most transparent and credible labels. Our team of experts offers help in selecting solutions and technical assistance in order to give customers the most responsive, and effective financial stability.” commented Cristina Azevedo, Codimarc CFO. The press purchased by Codimarc is an MX2, 370mm width, 8 printing stations and 2 die-cutting stations. Gidue MX2 press has demonstrated to be a top entry level press, that provides high quality results and that no needs great investment in terms of price. It is a press dedicated to the production of labels and, thanks to its short web-path, it minimizes the set-up waste while high precision drive-belts guarantee a perfect printing register over time. The press requires no maintenance, no operator intervention and no specific greasing. José Sampaio, commented: “Gidue MX was a good investment in terms of quality and price, the press is incredibly handy and the Flower head is a miracle of simplicity and durability. Thanks to Gidue narrow web inline machine, we are able to convert in one-step process. Gidue invented a very smart press, we were looking for such a product”. iSys Label, Canadian developer and manufacturer of short to mid run digital label printers, is pleased to announce they will be presenting free educational seminars on “short run digital label printing” at Graphics of the Americas (GOA) being held February 26-28, 2015 at the Miami Beach Convention Center in Miami Beach, FL. Located in booth #160, iSys Label, along with their collaborators Avery Dennison, UniNet, Kompac Technologies and IntoPrint Technologies, will present on the various aspects of “Short Run Digital Label Printing.” These presentations will last for 20-30 minutes, in both English and Spanish, and cover all facets of the short run digital label market – from substrates and offline finishing to the upcoming trends in the digital label market space. Additionally, there will be live demonstrations of the different types of equipment and the opportunity to talk to the experts. Leading label laser cutting machine manufacturer, Spartanics, has unveiled a new market changing technology for label converters looking to achieve optimal results with lower start up costs. Spartanics proudly introduces the X-350 Laser Cutting Module, engineered to be integrated seamlessly into Smag Graphique’s E-Cut and Digital Galaxie Semi-rotary Converting Solutions. The X-350 is a modular laser station that can cut material up to 350 mm wide with an infinite length. It is capable of reaching cutting speeds of up to 100m/minute, comes standard with Spartanics’ Fastline and Optimization Control Software and is available in either a 200 watt laser or 400 watt laser. Since the X-350 is modular, it can be integrated into a SMAG converting solution from equipment inception or at a future date. “The X-350 module provides label converters a more flexible finishing solution that is equipped with all of the features our existing customers have come to expect from a market leading laser supplier,” says VP of Sales and Marketing, Mike Bacon. SMAG’s E-Cut Semi-Rotary Converting System is a basic label finishing solution that can be equipped with a 200 watt or 400 watt Spartanics X-350 laser die cutter, a semi-rotary die cutting station, a flexo varnish station, lamination and a slitter; everything you need to get your basic label job completed. Label converters in search of a semi-rotary converting system with more modularity and converting options will be enticed by the Digital Galaxie Converting Solution. The Digital Galaxie is the most complete label converting solution for printed roll applications. In addition to the flexibility of a modular semi-rotary converting system, label converters are able to customize this press with a robust list of converting options, such as: 400 watt X-350 Spartanics laser die cutter, flatbed screen printer, semi-rotary foil, flatbed die cutter, semi-rotary die cutter, flatbed foil, flatbed embossing, and a full rotary or semi-rotary UV flexo station. In September 2014, Spartanics and Smag Graphique announced a company partnership for laser integration into the Smag Graphique’s converting solutions, as well as, the announcement of Spartanics exclusive North American distributor status for all Smag Graphique semi-rotary converting systems. SMAG manufactures converting solutions for high-end label and flexible package printing. Routinely customised to meet unique requirements of both digital and conventional printers, the product portfolio includes roll-to-roll flatbed screen printing presses, inspection/slitter-rewinding equipment, converting machines offering multiple added-value features. SMAG range highlights are the new high speed flatbed screen unit : the flagship GALAXIE SGV, the high speed flatbed foil/embossing HGV, the laser cutting solution. i-Sub Digital will be sharing a stand (H18) with Zünd UK at the Packaging Innovations show on February 25th and 26th 2015 and is expecting a busy two days. Kettering-based print specialist i-Sub Digital will be demonstrating its exclusive Digi-Foil digital foiling system for printing onto a wide range of packaging materials and the Mimaki Kebab for direct printing onto cylindrical items. The speed and ingenuity of the systems attracted a great deal of interest at packaging, sign and display and trophy industry events throughout 2014. Digi-Foil combines a desktop Mimaki UJF-3042HG or UJF-6042 Series UV printer with a heated applicator to create foil effects in minutes, giving a traditional appearance but without the time and cost necessary for preparing dies and foil presses. 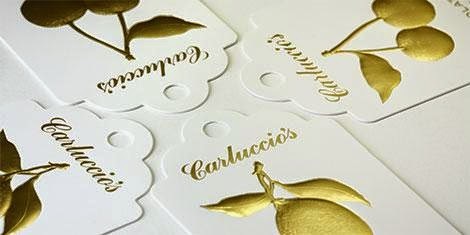 A wide choice of effects is achievable in a very short time frame – from metallics to embossed patterns and high-resolution printed graphics. As separate modules the UJF UV inkjet printer offers an all-in-one printing solution, whilst Digi-Foil is ideal for the creation of detailed and accurate packaging mock-ups and promotional products. The Kebab is an optional attachment for the Mimaki UJF-3042HG and UJF-6042 printer that achieves seamless 360-degree surface printing onto cylindrical objects up to 330mm in length and between 10mm and 110mm in diameter. Suitable for packaging, wine bottles, candles, water flasks and more, the Kebab gives extra value from the Mimaki desktop units by enabling 3D prototypes and one-off personalisation. "The Digi-Foil and Kebab systems always attract a 'wow' from visitors," says i-Sub Digital Director Andy Spreag. "Being able to see such high-quality results so quickly tends to spark people's imaginations and get them thinking about what else they can produce. "Being surrounded by such a wealth of innovative equipment at Packaging Innovations – such as the digital cutting systems being shown by our stand partners Zünd UK – means visitors will be sure to leave the event with great packaging ideas." Zünd UK will be running demonstrations of the Zünd S3 M-800 (1330mm x 800mm) digital cutter with an automatic sheet feeder and camera system to enable fast, automated cutting. The Zünd Cut Centre software installed on the system opens the correct job once it has been loaded onto the machine automatically, for unattended production. Packaging Innovations 2015, featuring over 350 exhibitors, will take place at Birmingham's NEC on February 25th and 26th 2015, combining Ecopack and Contract Pack areas with the co-located shows Empack and Label&Print. Zünd UK and i-Sub Digital will be available for demonstrations and advice on stand H18. Clear corporate strategy: founded in 1801, the graphic arts firm Fr. Ant. Niedermayr takes a proactive stance in the market. The German printing and media house relies on highly automated printing technology and top productivity. As part of its ongoing process optimization, Niedermayr decided to invest in additional Inline Control systems. “Printing house” no longer does justice to the range of services offered by Niedermayr. The Regensburg-based company is not only at the cutting edge of printing technology, but has also developed into a highly versatile provider of media services in recent years with 65 employees working solely in photography and agency and online services. With a ROTOMAN press installed in 2002, an 80-page LITHOMAN and a 96-page LITHOMAN S, Niedermayr has boosted its daily production capacity to 200 million A4 pages. This is the equivalent of 250 to 350 tons of paper printed on a daily basis. Permanent, automatic Inline measurement and control by well-chosen and fully integrated control systems are an indispensable factor in the media house’s success. At Fr. Ant. Niedermayr, the current color control solution was installed as a retrofit on an existing ROTOMAN system. Together with several additional Inline Control systems, the start-up of the new control system could be accomplished in record time. The cut-off register control InlineCut Off Control and color register control InlineRegistration Control were integrated in the process. On both the integrated version and standalone version of InlineDensity Control, full spectral measurement can be easily added to expand the system into the InlineSpectral Control solution. This allows high-precision, resilient color locus measurement at full running speed. Printed signatures can thus be checked automatically to see whether they match the relevant process standard for offset (PSO). Along with numerous other functions, integrated continuous materials testing of ink and printed paper can also be performed. “We were surprised at how quickly the InlineDensity Control was installed on our ROTOMAN,” says Johannes Helmberger, Managing Director at Fr. Ant. Niedermayr. “The system was running at 100% after just one day. InlineDensity Control: The high-precision and fully automated control system determines true ink density values in a single measurement across the entire width of the web, and optimizes the print process while minimizing waste. InlineRegistration Control: The color register control is the basis for optimum printing quality and precise color registers. InlineDampening Control: Depending on the plate cylinder temperature, it meters out the required quantity of dampening solution. InlineTension Control: The control function ensures uniform web tension, and thus reliable production and excellent quality during startups and production runs. InlineCutoff Control: The cut-off register control uses a camera for high-frequency control of the exact cutting position via draw and register rollers, thus ensuring the quality of the finished newspaper. InlineFanout Control: Provides additional non-contact compensation for fanout, a main cause of color register deviations. InlineRibbon Control: Controls the lateral deviation of partial webs and ribbons. The TAPPI Board of Directors recently approved the following individuals for the top TAPPI honors in 2015. Jonathan C. Kerr of Paper Science and Engineering Foundation at Miami University has been awarded the Herman Joachim Distinguished Service Award. Established in 1983, the TAPPI Herman L. Joachim Distinguished Service Award is the highest honor the Association can bestow upon an individual for exemplary leadership that has significantly contributed to the advancement of the Association. Elizabeth Etheridge of RockTenn has been awarded the Paul Magnabosco Outstanding Local Section Member Award. The Paul W. Magnabosco Outstanding Local Section Member Award was established to recognize outstanding leadership and exceptional service to one or more Local Sections and which have resulted in significant and demonstrable benefits to Local Section members. The nominee must be an individual whose outstanding leadership and exceptional service in Local Section activities have resulted in significant and measurable benefits to Section members. QuadTech announced the appointment of Tim Hilton from Innovo Packaging Technology, as a UK agent for sales of QuadTech web inspection and color control systems for the packaging sector. With a graphic arts background spanning 18 years, Tim has worked for a range of businesses including Cerruti Graphic Systems and Paper Converting Machine Company. More recently with Cerrutti, Tim was a Sales Manager responsible for sales of rotogravure and flexographic printing machinery for the flexible packaging and folding carton markets. Tim, now Sales Director for Innovo Packaging Technology, comments: "I am delighted to work with QuadTech and include its products in our portfolio. We are always looking for partners and technologies that can provide added value services to customers, or more specifically, solve the many important production workflow issues that UK printers and converters face in remaining competitive and profitable. "QuadTech technology will not only ensure that UK customers are able to minimize waste, but also enable them to meet brands' high expectations for print and color quality consistency, while also opening the door to other profitable, shorter run opportunities." The QuadTech Color Quality Solution (CQS), which offers an integrated solution for color and ink control, utilizing the expertise of QuadTech, X-Rite and leading ink manufacturers. The system combines inline spectral color measurement, ink formulation data and ink dispensing technology to ensure accurate color matching throughout the print run. QuadTech Color Measurement System, used within the CQS, collects and maintains live spectral data inline at full press speeds, calculating L*a*b*, ΔE, Density and ΔDensity. QuadTech's patented web stabilizer maintains stability on the widest range of packaging substrates, including paper, foil and film. Another powerful solution for converters is the QuadTech Inspection System, which utilizes the most sophisticated defect analysis in the industry to provide 100% inspection on 100% of your print or non-print product, web or sheet, 100% of the time. 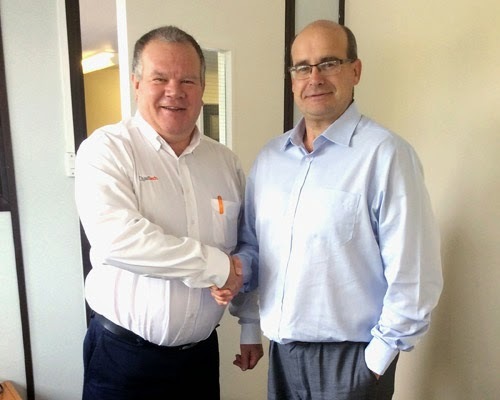 Karl Fritchen, President of QuadTech comments, "Tim's experience is ideal to represent QuadTech in the UK packaging industry, further expanding our specialist local agent sales network. He has substantial knowledge of the flexible packaging and folding carton markets, and his ability to match business issues, challenges and opportunities with the most suitable technology will be an asset to our business." Headquartered in Sussex, WI, USA, QuadTech, Inc. is the world's leading innovator of advanced color and inspection technology for the printing industry. Founded in 1979, QuadTech sells its automated auxiliary control systems in more than 100 countries to the web offset newspaper and commercial markets, packaging and converting markets, and publication gravure market. A new series of case study videos created by digital printing industry association PODi and featuring EFI customer Standard Register highlights the time- and money-saving advantages possible with end-to-end, integrated workflows. The videos, which can be viewed online at http://tinyurl.com/jwypf55, are hosted by PODi Workflow Practice Director Greg Cholmondeley and feature Standard Register’s Mark Tilling and Adam Johnson. In the new video series’ segments, Tilling and Johnson highlight the ways they use EFI PrintFlow® and Fiery® Central systems to automate and manage workflows at a Standard Register plant in Jeffersonville, Ind. With its advanced, integrated systems, the Jeffersonville plant successfully produces more than 1,000 orders each day. PODi’s new case study videos examine the process Standard Register took to establish its successful workflow, discussing software selection and installation, operator and manager impacts, and system programming. 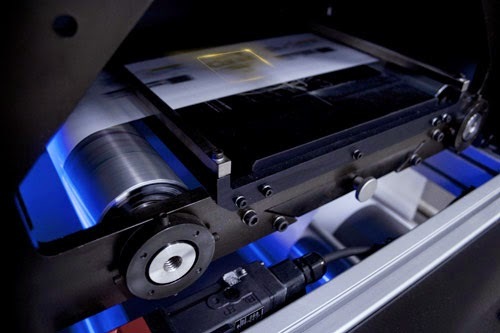 The series also details many of the final, positive results Standard Register saw in its printing operations and its bottom line following the workflow implementation. Standard Register’s Mark Tilling also addressed the benefits of workflow integration and automation during a January 20 keynote session at EFI Connect, EFI’s annual users’ conference in Las Vegas. Moving forward with its vision of “Bringing innovation to manufacturing by automation to enrich lives of people around the world”, Omron Automation -part of Omron Japan; a global leader in industrial automation – organised a seminar on “Robotics: a Global trend in Packaging Industry” at its Automation Technology Centre (ATC) in Mumbai today. The company exhibited its proficiency and know-how in this domain in the seminar which focused on the future global trends of robotics in the packaging industry. The objective of the seminar was to help the customers to increase the efficiency with quality, which is the need of the hour. Attended by more than 30 OEMs and channel partners, the seminar was an interactive session with Mr. Sameer Gandhi and Mr. Eduardo De Robbio- Robotics Product Manager, Omron Europe BV. Omron's expertise and proficiency in the robotics- packaging automation industry was displayed through its upgraded Sysmac Automation Platform which has been making rapid strides in varied industries like automotive, material handling, chemicals, pharmaceuticals, food & beverage and textile. Sharing his experience in the robotics industry, Mr. Robbio mentioned that to increase the machine output and reduce the cost of ownership it is extremely important to have robots together with a robust solution. This is why Omron offers its robotics solutions on the proven Sysmac automation platform. By seamlessly integrating this, Omron solutions bring all automation components like vision, safety, servos, drives and controllers together to deliver fast, accurate and reliable control to the fastest packaging machines. Another key speaker at the seminar - Mr. Vivekanand Patil (Senior Manager-Automation Technical Department Omron Singapore) - reiterated Omron’s key message “We Automate" for mastering the global trends of the packaging industry. Omron Automation provides customised solutions for automating all stages of packaging delivering speed, flexibility and robustness. The company’s strategy is to be the first choice as the Automation Partner for the packaging industry. The importance of creating long term, holistic and customer centric relationships will be the focus of X-Rite Europe’s presence at Packaging Innovations, NEC Birmingham, February 26 and 27 on Stand H23. The global leader in color science and technology will showcase its range of market leading hardware and software solutions developed to maximize end-to-end color control. It will also demonstrate its commitment to customer education to support continued growth and success. “We want to demonstrate to customers how our solutions can ensure they have a complete end to end approach that delivers maximum consistency, productivity and end user satisfaction,” comments Tim Smith, Sales Manager UK, Inks and Packaging at X-Rite Europe. Among the solutions taking the spotlight are eXact and eXact Scan, the next generation in handheld color measurement that enables printers and packaging converters to truly understand, control, manage and communicate color avoiding unwanted reprint and rework. Xeikon, an innovator in digital color printing technology, is pleased to announce the first installation of its breakthrough Xeikon Cheetah digital label press, just months after the dedicated label printing solution was announced. 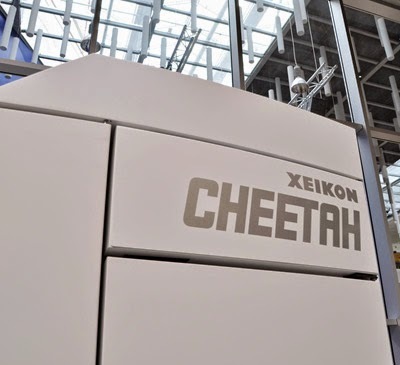 UK-based Mercian Labels is the world’s first pilot site of the Xeikon Cheetah and has chosen this innovative, high-speed press to help it continue its double-digit growth path. Xeikon Cheetah, the most productive five-color digital label press in its class, will be installed early February at Mercian Labels’ new factory in Staffordshire, and run alongside their existing Xeikon 3000 Series digital press; as well as hotfoiling, flexo and inkjet technologies for an exceptionally robust label manufacturing platform. To showcase the new Xeikon Cheetah, Mercian Labels and Xeikon will be holding an exclusive preview event at the Mercian Labels premises in Burntwood, Staffordshire. This two-day event will take place in the afternoon of February 24th, one day before the Packaging Innovation show at Birmingham NEC; and in the afternoon of February 25th, the first day of the Easyfairs show. Mercian Labels is an award winning manufacturer of custom printed self-adhesive labels, cartons and security seals. Originally started in 1969 from a small shop in Penkridge, Staffordshire, England, the business, now in its 46th year, has grown organically and by acquisition to become a brand and market leader in its niche markets. It operates from two manufacturing sites in the UK with 50 employees and benefits from over 9.000 business customers, exporting to over 20 countries across 6 continents. 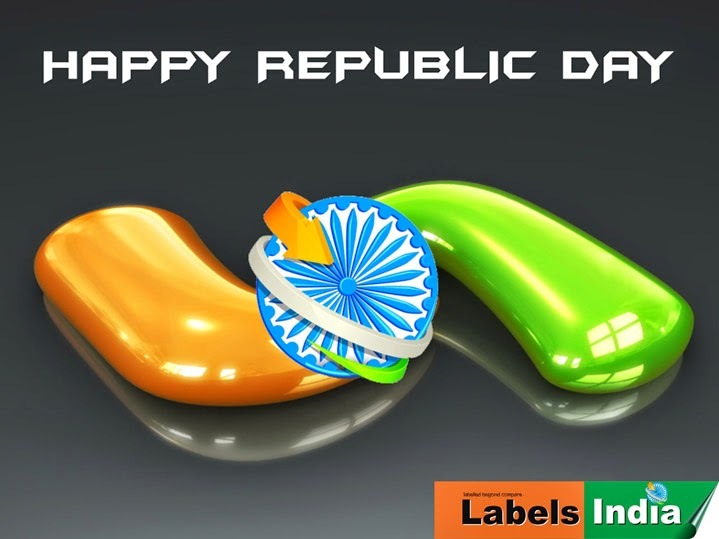 Its technical specialties are in digital label & carton printing and high volume variable data & barcode labels. Color-Logic has certified that the Epson SurePress L-4033AW digital press, when supplied with the iSi MaxPrint RIP, fully supports the Color-Logic file formats required to produce the widely used Process Metallic Color System. Confirming the certification, Color-Logic Director of Sales and Marketing Mark Geeves said: "The Epson SurePress L-4033AW digital press with the iSi MaxPrint RIP-available in Asia -enables printers to produce the Color-Logic process. Asian printers using the press can offer their customers complete access to the striking metallics and special effects available with Color-Logic." Developed for brand managers, product managers, corporations and advertising agencies, the Process Metallic Color System gives licensees the ability to differentiate themselves and their clients from the competition by simplifying the design and print production process and implementing eye-catching decorative effects into their branded products and associated collateral. The Color-Logic system is compatible with offset, inkjet, flexography, digital presses, screen printing, and gravure processes. It is ideal for packaging, pouches, direct mail, point-of-purchase material, signage, postcards, literature, booklets, labels, shrink sleeves, calendars and much more. A capacity crowd of EFI customers, partners, employees and industry media are attending this year’s EFI Connect users’ conference. The January 20-23 event at the Wynn Las Vegas offers one of the best lineups of print industry leadership sessions, technical education, and business management workshops ever offered at a graphic arts technology users’ group gathering. This year’s conference also serves as the launch for a new evolution in EFI’s workflow software strategy. EFI recorded a double-digit increase in the percentage of customers registering for this year’s conference, which is expected to draw more than 1,500 attendees. Printing companies from 25 different countries are attending to gain key insights on how their EFI print technology investments fuel greater productivity, greater efficiencies and better business results. This year’s conference features more than 200 educational sessions on business management, sales, marketing and production technology, as well as special keynote presentations from Thomas Quinlan, CEO of RR Donnelley & Sons; Avi Reichental, CEO of 3D Systems; and Andrew Paparozzi, chief economist of print industry association AMSP/NAPL/NAQP. One regular Connect attendee, Brian Thompson, co-owner of Seattle Printworks, attends the conference to gain the insights on business management strategies. “Just like most printing companies, our run-length volumes are going down, even though the number of jobs we produce is going up,” Thompson says. “While that trend seems like a threat, the invaluable networking opportunities Connect offers – where we can have detailed discussions with similar businesses who are not direct competitors – help us fine-tune our workflow and operations so we are earning more money on every sheet we print. EFI Connect features a preview of the EFI Productivity Suite – the next step in the company’s productivity software portfolio evolution. The suite expands on EFI’s existing offerings with an even stronger focus on how customers can generate revenue and enhance efficiency and profitability using the industry’s most comprehensive portfolio of print and packaging software. Available this quarter, the suite addresses customers’ most pressing automation and efficiency needs by moving the workflow emphasis away from individual EFI software packages and modules to a complete offering that uses best-of-suite, end-to-end workflows, certified integrations and synchronized development. As a result, printing and packaging companies can further simplify the management and operations tasks they need to grow into new markets and strategically run their businesses. Unified workflow management capabilities for combined offset and digital production operations using a new Heidelberg Prinect/EFI Fiery digital front end integration. Now, printing companies can use their familiar Prinect interface to quickly route work to offset or Fiery Driven digital presses while streamlining overall business processes using integrated links to EFI web-to-print and print MIS products. 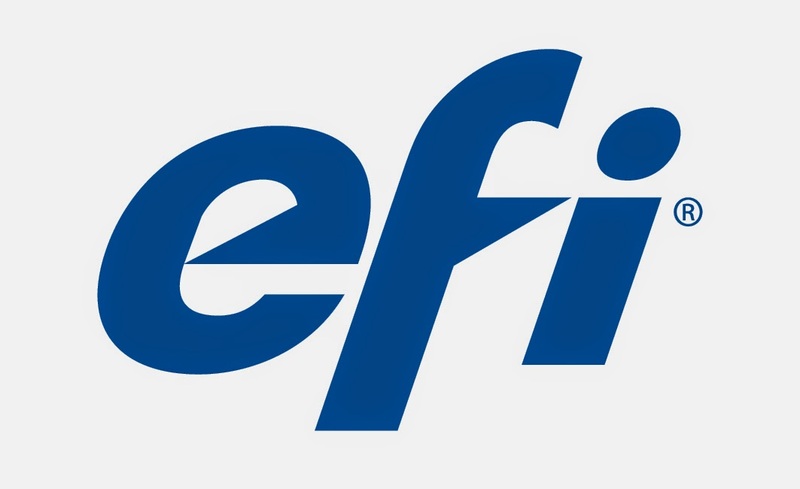 A module featuring EFI DirectSmile technology to enable automated, template-based and data-driven variable image and document rendering within the award-winning EFI Digital StoreFront web-to-print and eCommerce interface. An enhanced automation workflow, powered by AccuZIP, that uses Digital StoreFront’s web-to-print capabilities and its new variable-data printing module to automate direct mail production tasks from order entry through mail processing and check out. EFI Connect’s solutions center includes a complete portfolio EFI workflow and digital print production software. Attendees will also see an exhibit of versatile, energy-efficient LED inkjet technology with 3.2-meter roll-to-roll and 2-meter, 7-picoLiter UltraDrop hybrid roll/flatbed EFI VUTEk printers, along with an entry-level, 1.6-meter EFI Wide Format production printer. At the conference, 3M Commercial Graphics will exhibit a vehicle wrapped in graphics produced using a co-developed EFI and 3M ink that offers increased flexibility and elongation characteristics traditionally not seen with UV inkjet inks. EFI Connect also features numerous exhibits from partner companies, including the conference’s platinum sponsor, Xerox; gold sponsors Canon and Kodak; and bronze sponsors 3M Commercial Graphics; AccuZIP; BCC Software; Esko; ESP/SurgeX; Honle UV America; Heytex Corp.; Konica Minolta; MBM Corp.; the Print and Graphics Scholarship Foundation; Ricoh Production Print; and Zünd. EFI Connect is the printing industry's best venue for open dialogue and idea exchange, giving global business leaders a valuable opportunity to participate in educational sessions, receive hands-on experience, discuss industry trends, network with peers, voice their opinions, and learn from others. For more information about EFI products, visit www.efi.com, or call 800-875-7117.